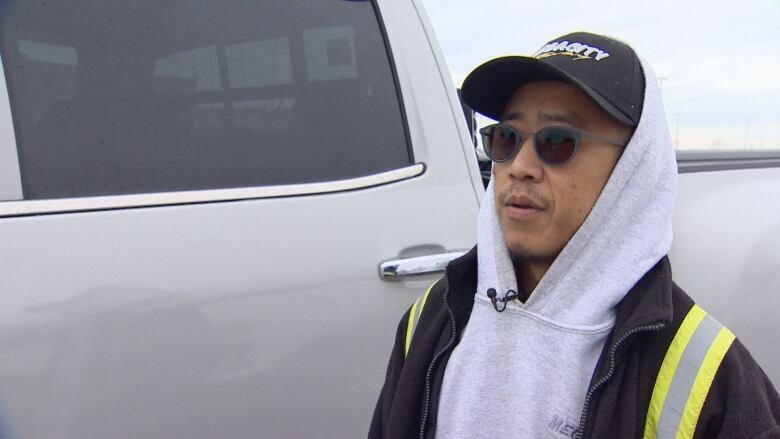 A Toronto-area tow truck driver says he’s lucky to be alive after a small plane slammed across a road and just missed him near Buttonville Airport in Markham, Ont., on Tuesday afternoon. A Toronto-area tow truck driver said he's lucky to be alive after a small plane slammed across a road and just missed him near Buttonville Airport in Markham, Ont., on Tuesday afternoon. Chan told CBC Toronto it was his day off and he was on his way to a family meal at the time of the incident. "I was driving on the highway, I was picking up speed, and then the plane just came right in front of me," he said. "I tried to dodge it, and that's when everything crashed." He said the plane didn't come in as a nose dive, but rather, from the side. Chan said he got out of his truck to make sure the people on the plane were okay and saw them getting out of the plane. He said the plane was approximately "two car lengths" away from his truck when it flew by and crashed. After it happened, he said he and his colleagues rushed out to buy $300 worth of lottery tickets, hoping his luck would continue. 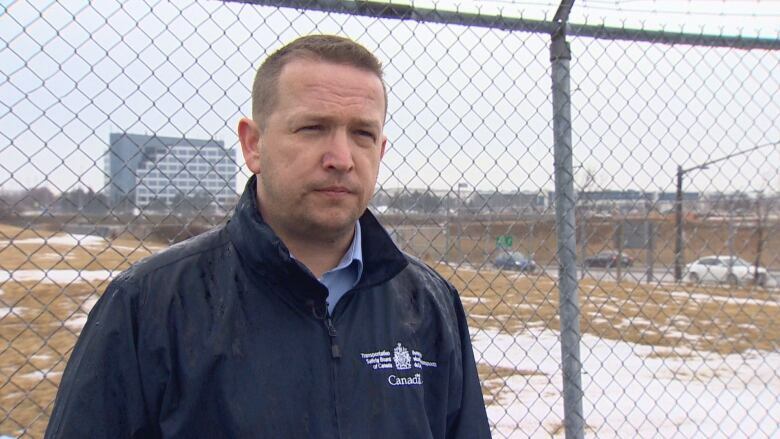 Meanwhile the Transportation Safety Board (TSB) is still investigating what caused the white Cirrus SR20 to crash. The TSB said the plane went down around 2 p.m. Tuesday, and came to rest on an embankment on the north side of 16th Avenue, near Highway 404, a busy multi-lane highway. The male pilot and a single female passenger were uninjured, though the aircraft sustained significant damage. One was a relatively new commercially licensed pilot, and the other a flying instructor. In a tweet, the TSB classified the crash as a "runway excursion," meaning the plane likely overshot the runway. Ewan Tasker, the regional manager of air investigations for Ontario for the TSB, said the incident happened during a touch and go exercise. "They had done one take off already, but were coming back to do a touch and go," said Tasker, referring to a procedure of landing a plane on a runway and then taking off right away without completely stopping. The instructor took charge right before the touch and go landing, possibly to show the commercial pilot, said Tasker. He said the aircraft landed well, but during the take off portion, that's when things went wrong. A fence and berm are the only barrier between the airport and the road. Tasker said investigators deployed to the crash scene completed their on-site work Tuesday evening. The plane was taken to a hangar, where investigators will have a chance to further examine the wreckage. The cause of the incident has not yet been determined. Buttonville Airport's condemned tower gets a reprieve - but for how long?